Appartement La Nautique 4 km from the centre of Mandelieu-la-Napoule and a 5-minute walk from the beach. 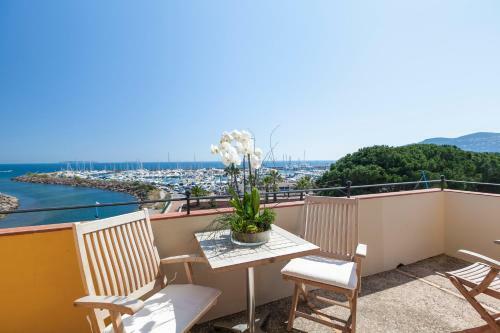 Located on the first floor of a residence, Appartement La Nautique offers a balcony with sea views, 2 flat-screen TVs and a private bathroom with a shower. Holiday Home Av De La Mancha Mandelieu La Napoule . Accommodation near the beach, 35 square meters, with garden price per day from £ 48 . Hotel Restaurant L'O price per day from € 65 Located opposite the Chateau de la Napoule, this hotel is 50 metres from the beach. Guests can enjoy refined French cuisine at the Restaurant L’O and enjoy an evening drink in the bar. Hotel La Calanque price per day from € 50 Set across the street from the beach in Mandelieu-la-Napoule, this hotel offers free Wi-Fi access. Some of the rooms include private balconies with views of the sea, and all rooms have en suite bathrooms. Breakfast is served every morning, and the hotel has an on-site bar..
Hôtel de la Corniche d'Or price per day from € 55 Located in Mandelieu, the Hôtel de la Corniche D'or is just 100 metres from Mandelieu La Napoule Train Station. 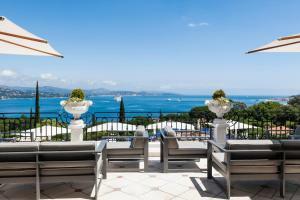 The Corniche D'or is a 10-minute drive along the French Riviera coastline to the Cannes-Mandelieu Airport..
Town of Théoule (~2.1 km). 39+ accommodation units ! Town of Les Termes (~2.8 km). 32+ accommodation units ! Town of Mandelieu (~3 km). 24+ apartments ! Town of La Bocca (~4.2 km). 74+ accommodation units ! Town of Espéro-pax (~4.8 km). 14+ villas/holiday houses !